Mike Fuller has over 20 years of experience across a broad range of industries, working to identify and solve problems through collaborative evaluation programs, research projects, LeanSigma improvement workshops, and strategic innovation initiatives. In 2016, he started an innovation and improvement consultancy partnering with passionate startups, community groups, charities and forward-thinking businesses to help them quickly understand, co-design, test and build solutions to the problems they know best — their own. 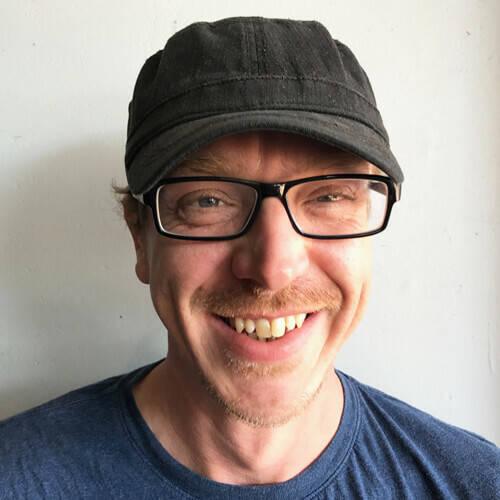 Now in partnership with Next Learning, Mike draws on his full breadth of experience to co-design hackathon and improvement workshops, projects and plans that match the needs, passions and lived experience of those he partners with. His commitment is to providing you with simple yet powerful innovation tools, techniques and tips, helping your community and clientele lock-in positive change on improvement journeys that are perpetually moving towards ‘better’. Mike has worked with many world class organisations, including the University of Edinburgh, a world leader in open education and research; Joy Global, which continues to be a globally dominant mining equipment manufacturer; and Scottish & Newcastle, a historic brewing company now trading as Heineken UK. More recently he has worked with Life Without Barriers, Australia’s largest non-denominational provider of community support services to the most vulnerable in our community. In the 20 years as a person-centred Lean Quality professional, Mike has conducted thousands of internal and external evaluations. He has facilitated workshops covering all aspects of problem solving to achieve desired strategic, operational and customer outcomes.